Born in 1956 in Southern India, Sri Sri Ravi Shankar was a gifted child. By the age of four, he was able to recite parts of the Bhagavad Gita, an ancient Sanskrit scripture and was often found in meditation. His first teacher Sudhakar Chaturvedi, had a long cooperation with Mahatma Gandhi. By the age of seventeen in 1973, he had graduated with degrees in both Vedic literature and physics. Sri Sri entered a ten-day period of silence in Shimoga located in the Indian state of Karnataka. The Sudarshan Kriya, a powerful breathing technique, was born. With time, the Sudarshan Kriya became the centerpiece of the Art of Living courses. In 1997, he co-founded the International Association for Human Values (IAHV) to coordinate sustainable development projects, nurture human values and coordinate conflict resolution in association with The Art of Living. In India, Africa and South America, the two sister organizations’ volunteers are spearheading sustainable growth in rural communities, and have already reached out to over 36,000 villages. A noted humanitarian leader, Sri Sri’s programs have provided assistance to people from a wide range of backgrounds – victims of natural disasters, survivors of terror attacks and war, children from marginalized populations and communities in conflict, among others. The strength of his message has inspired a wave of service based on spirituality through a huge body of volunteers, who are driving these projects forward in critical areas around the globe. As a spiritual teacher, Sri Sri has rekindled the traditions of yoga and meditation and offered them in a form that is relevant to the 21st century. Beyond reviving ancient wisdom, Sri Sri has created new techniques for personal and social transformation. These include the Sudarshan Kriya® which has helped millions of people to find relief from stress and discover inner reservoirs of energy and peace in daily life. In a mere 29 years, his programs have raised the quality of life for participants in 151 countries. As an ambassador of peace, Sri Sri plays a key role in conflict resolution and spreads his vision of non-violence at public forums and gatherings worldwide. Regarded as a neutral figure with a sole agenda of peace, he represents hope to people in conflict. He has received particular credit for bringing opposing parties to the negotiating table in Iraq, the Ivory Coast, Kashmir and Bihar. He was appointed the Chairman of Reception Committee for the 500th anniversary celebrations of the Coronation of Krishnadevaraya (by Government of Karnataka, India). Sri Sri is also a member of the Amarnath Shrine Board (appointed by Government of Jammu and Kashmir, India). Through his initiatives and addresses, Sri Sri has consistently emphasized the need for reinforcing human values and recognizing humanity as our highest identity. Fostering interfaith harmony and calling for multi-cultural education as the remedy for fanaticism are significant parts of his efforts to achieve sustainable peace on our planet. Founded in 1981 by Sri Sri Ravi Shankar,The Art of Living Foundation is a not-for-profit, educational and humanitarian NGO (Non-Governmental Organisation) engaged in stress-management and service initiatives. The organisation operates globally in 151 countries. The organisation’s programmes are guided by Sri Sri’s philosophy of peace: “Unless we have a stress-free mind and a violence-free society, we cannot achieve world Peace.” help individuals get rid of stress and experience inner peace, The Art of Living Foundation offers stress-elimination programmes which include breathing techniques,meditation and yoga. These programmes have helped millions around the world to overcome stress, depression and violent tendencies. The Art of Living Foundation has spread peace across communities through diverse humanitarian projects, including conflict resolution, disaster relief, sustainable rural development, empowerment of women, prisoner rehabilitation, education for all, and environmental sustainability. Sri Sri Ravi Shankar’s vision of a violence-free, stress-free society has expressed itself in numerous service initiatives that inspired volunteers worldwide to carry these forward with his guidance. Sri Sri Ravi Shankar has designed special courses which teach effective and practical techniques for emotional and physical wellbeing. He has rekindled the traditions of yoga and meditation and offered them in a form that is relevant to the 21st century. Beyond reviving ancient wisdom, Sri Sri Ravi Shankar has also created new techniques for personal and social transformation. These include the Sudarshan Kriya® which has helped millions of people to find relief from stress and discover inner reservoirs of energy and peace in daily life. Sri Sri Ravi Shankar travels the world teaching people these techniques, and Art of Living courses have already touched the lives of millions of people. Sri Sri‘s work sees him addressing audiences of diverse nationalities and backgrounds, including the United Nations, prison inmates, corporate management teams, ailing farmers and school children. It is also not an uncommon sight to see people from warring nations sitting side-by-side in one of Sri Sri’s programmes or addresses. People say that Sri Sri Ravi Shankar leads through example, whether it is travelling through floodwaters to inspect rehabilitation efforts in Bihar,; urging misguided youth to join mainstream society and work for social development; or meeting people at satsangs (music and meditation gatherings) every evening and answering queries on overcoming life’s challenges. His focus is always on fostering human values and building communal unity through his philosophy and ideal of a one world family. Sri Sri Ravi Shankar’s life is a story of dedicated efforts towards making this ideal a reality. 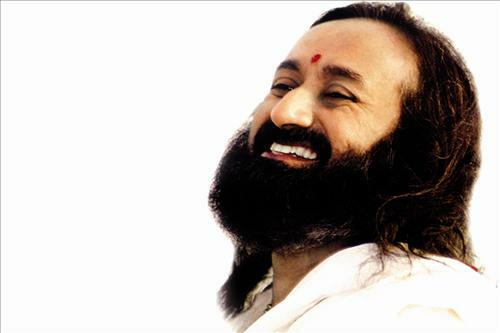 The world has venerated the wisdom and vision of Sri Sri Ravi Shankar by honoring him with numerous awards and honors. His vision of a violence-free, stress-free society through the reawakening of human values has been recognized and appreciated the world over. Over the years, Sri Sri Ravi Shankar has been bestowed with several national and international awards, including the top state honors and awards instituted by governments and reputed organizations. Five universities in India and one from Sri Lanka have honored Sri Sri Ravi Shankar with honorary doctorate degrees in recognition of his service to humanity. While several cities in the US and Canada have also honored him by declaring a day during his visits to the cities as ‘Sri Sri Ravi Shankar Day’, some countries have bestowed him the honor of ‘illustrious visitor’. Washington DC honored his visit to the city in 2007 by marking that week as ‘Human Values Week’. He has also been accorded honorary citizenship by some US and Canadian cities. In 2006, during his visit to Jaipur, India, Sri Sri Ravi Shankar was handed the symbolic key to the city by the mayor of Jaipur.